Smarter growth for healthcare providers requires a strong patient acquisition engine that can demonstrate ROI. By focusing on the financial impact of marketing efforts, healthcare marketers demonstrates why these efforts warrant further investment. 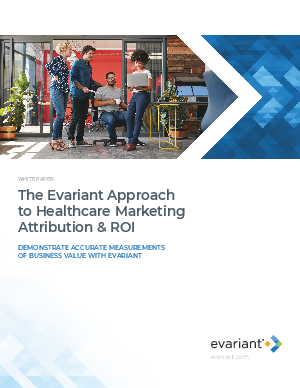 This guide presents the Evariant approach to calculating service line ROI from marketing spend. It includes a standard set of formulas and optional factors that may be relevant to certain service lines and system-wide operations.